Honestly, I've been spending a lot of time on LinkedIn being a sales process contrarian. 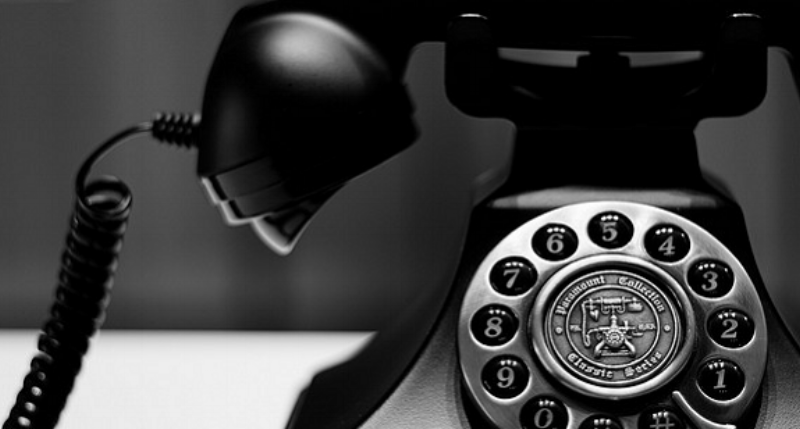 There's a great number of sales leaders out there who are continually banging on the need to still "work the phone" to contact prospects. I used to work for some of them. In fact, I used to be one. Now I have to admit - even as recently as a year ago I was clinging to the belief that while I was embracing social selling and the new way of doing business, phone prospecting was a valid and valuable part of the selling process. Yeah, and I used to believe in the Tooth Fairy too. And that's because I had baby teeth for which I could exchange for American Currency. But Times Changed and I lost those teeth. I can't get money for teeth anymore - so believing in the Tooth Fairy went from investing in an idea that profited me to just being very weird. Here's the deal - I fear many sales leaders see a million nails out there because they don't want to give up the hammer. They've used the phone for 20 years, so they're spending a great deal of time trying to figure out a way to use the phone in 2016. I get it. I have a lot of eight tracks in my garage - I'd love to figure a way to use them on my iPhone. And that's the point - my contemporaries may think me crazy, but I think in 2016 the whole idea of targeting individual buyers via the phone is flawed. And don't blame the technology - the phone still works. I dial a number and am able to talk to people in real time. Today I can talk to anyone, anywhere at anytime. There's nothing wrong, physically, with a phone. But the phone is dead and it's mostly our fault. I think we in sales killed the phone - with our daily cold call quotas and our marketing auto dialers and directed phone campaigns. We used technology to make more calls to "buyers" and then created KPIs and metrics that measured those phone calls. We said things like "it's a numbers game" and berated sales reps that didn't "pound the phone." And when we got someone on the phone? We engaged in verbal combat, trying to wear down the person on the other end, pummeling them mercilessly - giving them only two options - Hanging Up or Saying YES to a meeting! So what happened? Well the "buyers" did "buy something." They got rid of the receptionist we used to enjoy "getting around" and purchased voicemail and caller id services. They bought and built a technological castle wall between us, protecting the King (the Decision Maker) from us, the strangers at the gate. I've asked myself - in 2016, how do you build a relationship with the King behind that wall? Color me cray-cray, but I don't think it's by yelling over the wall, trying to get the King to lower the drawbridge for five minutes to talk to you. And tying a message to a voicemail rock and heaving it over the wall is just sad. I mean does any executive pick up the phone anymore? And leaving voicemail? How many VMs have you deleted today without listening to them? I think a better strategy is to connect with the King's Court outside the gate, crafting a strategy and a message and a narrative that resonates with them that you know will be carried through the gate to the King through the members of the Kings Court - until, after hearing multiple court members talk about you, the King invites you in for the meeting. And this doesn't happen on the phone. It happens socially. Don't get me wrong - I do believe the phone is still important. But I think it's place is farther down the buying process. I think it's dead as a prospecting tool. It's not the way to initially reach out to someone in 2016. I'm all about effort vs. reward. I don't want my salespeople wasting time dialing up VPs or Execs, no matter how much research they do on LinkedIn, to try and get them on the phone to pitch them. It's like concentrating on an elevator pitch in a world were 50% of your customers work in virtual offices from their homes. They never even get in an elevator, so why would I spend time figuring out how to talk to them in one? Since Oog first sold a rock to Moog, verbal pitch skills have been of paramount importance for salespeople. Verbal stills are STILL important. But in the world we live in - digital communication is paramount. IMHO creating a strategy that trains a sales rep how to deliver a value prop in 140 characters is more important that training them how to deliver a phone call script. I'd rather have two reps who knew how to socially sell than 15 that dialed 150 calls a day.